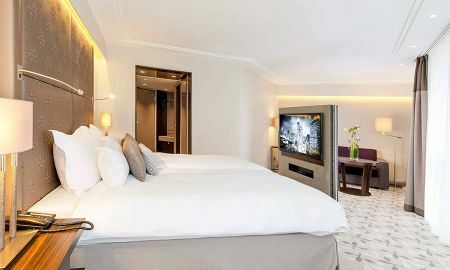 Modern comfort and timeless, elegant design combine at the Pullman Hotel Munich, which has recently become one of Munich's premiere business establishments. 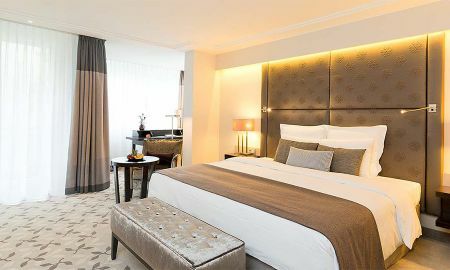 In the popular bohemian district of Munich Schwabing, Pullman Hotel Munich’s guests reside in bright, spacious rooms and suites that feature balconies and garden views over the nearby English Garden. Enjoy high-quality equipment, innovative technology and all the comfort you expect: minibar, telephone, WIFI, Sky TV, shower/tub, hair dryer, and workspace. Food to enjoy and to satisfy your appetite! In the THEOS lounge, the kitchen team serves whatever you fancy - from light meals to international specialties. On summer days, head to the lounge terrace for a barbecue.Snacks and drinks are available in the lobby throughout the day. Bright green and beige tones create a pleasant atmosphere to relax and recuperate in the hotel’s Garden Spa and Gym area, inspired by the nearby English Garden. 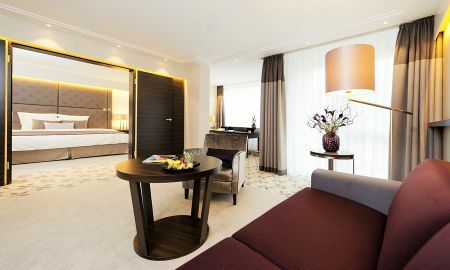 The Pullman Munich can also organise meetings and events for up to 60 people both quickly and professionally. The hotel can satisfy all your needs and will host all your events to perfection. 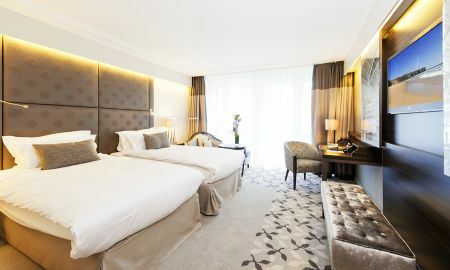 This stylish hotel in the Schwabing-Freimann district is a 3-minute walk from the Nordfriedhof U-Bahn station and 5 km from the Hofbräuhaus am Platzl. Munich airport is 23 min away from the hotel.